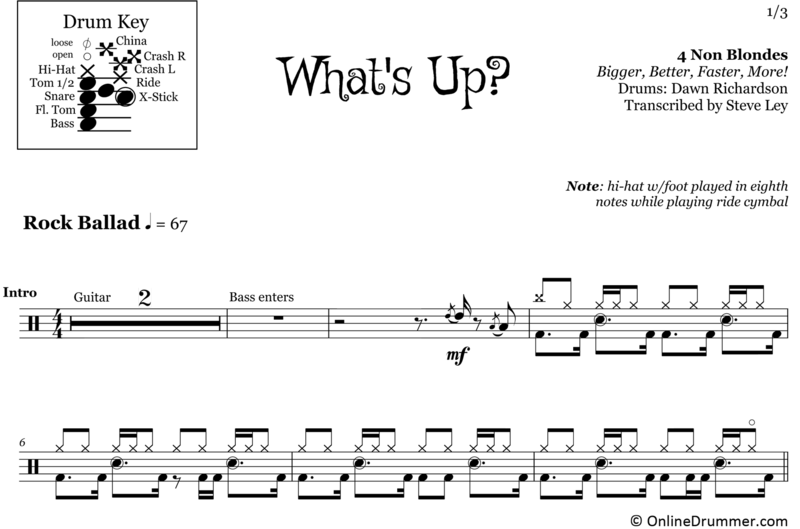 The full drum sheet music for “What’s Up?” by 4 Non Blondes from the album Bigger, Better, Faster, More! (1992). What’s going on? This song — still today over 20 years later. Peaking at number one in countries around the globe, there’s no denying the global role 4 Non Blondes played in shaping the ’90s alternative rock scene. 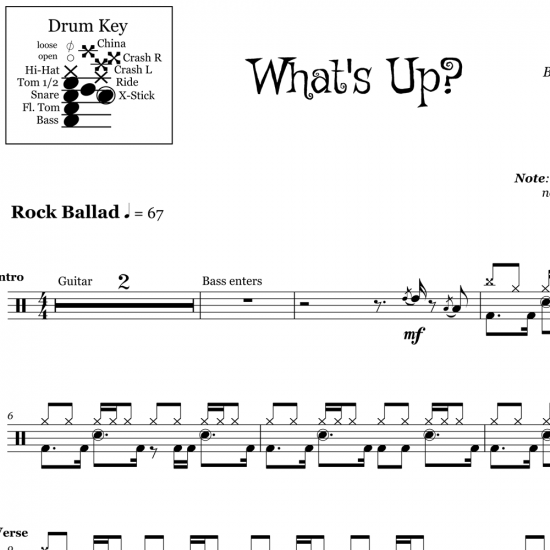 What does Dawn Richardson, 4 Non Blondes drummer, have to say about our sheet music team?